Arran, Bute and Cumbrae Arran, Bute and Cumbrae. These four islands offer ideal conditions for walking and cycling enthusiasts as well as plenty of sites to visit by car. Arran has a pleasant road that runs around and across the island. The Isles of Great Cumbrae is home to the cathedral, which serves this small group of islands. 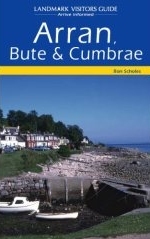 Bute is very popular for its lochs with rainbow and brown trout and its three golf courses. This work features car tours and town trails with accompanying maps and historical background notes. It includes Fact File, which gives practical travel advice including local customs, accommodation and entertainment. It also contains full colour photography with road maps and feature boxes.